It’s time to take another break from my long, on-going series of articles about Driver’s License Restoration in Michigan. In this article, we’ll discuss an issue that arises often enough in my Practice as a Criminal Defense Lawyer. It always begins with a phone call from a person who has been contacted by a Detective from a Police Department or Agency. The caller has either spoken with the Detective, or simply knows, from a message of some sort, that a Detective has called for them. The Detective will almost always reference what he or she is calling about. In this article, we’ll talk about those calls which are about some incident involving the person who is being called. Sometimes it’s about an Assault and Battery case, or an allegation of Domestic Violence. Other times, it’s about some kind of Larceny or allegation of Embezzlement or other Theft Crime. Even if the call involves a different kind of Offense, there are certain similar characteristics of these calls that can help us understand how to respond to them. When my office gets one of these calls, there is usually a sense of urgency, if not outright panic, on the part of the caller. Having handled so many of these calls over the years, I think it’s safe to say, at least from my experience, that there really is a set of rules a person must follow if they are called by a Detective. Let’s look at a real life example of a case I recently handled in Macomb County. My Client was involved in a disagreement with the driver of a car who was parked in front of his house and blocking his driveway. To make a long story short, there was a bit of an altercation between my client and the Driver of the car who refused to move and unblock my Client’s driveway, which prevented my client from pulling his car out. When all was said and done, and my Client was on his way to wherever, and the other Driver had finally gone his own way, my Client figured the whole thing was over. A few days later, he received a call from a Detective. He spoke with the Detective for a bit before he called me. As he related the initial conversation with the Detective, he was asked about the altercation and the Detective told him that he wanted to hear my Client’s side of the story. Fortunately, my Client immediately understood the need to obtain legal advice before he said anything, so he called me. Before ending his conversation with the Detective, however, the Detective said something to my Client which I will point out to the reader as very important: The Detective told my Client that if he didn’t receive a return phone call within a few days, he was “going to get a warrant” charging my Client with Assault and Battery. Mark that, because we’ll come back to it. When I spoke with my Client, he told me what had actually happened that day. Next, we began discussing his conversation with the Detective, who he indicated had been very polite and professional. My Client was just freaked out about that “warrant” comment. I explained to my Client that the Detective’s “warrant” comment was actually a fairly common slip that Police sometimes make when dealing with people who have become the Subject of a Criminal Investigation. It’s not my intention to be critical of how Police investigate crimes, but it is my obligation to make sure that anyone interested, either as a reader of this Blog or the actual Subject of a Criminal Investigation, understands their Constitutional Rights and how to protect them. I told my Client that the Detective was not really interested in his “side” of the story in the sense that he was going to use it to make a decision as to whether or not he was going to go forward with a case. I explained that that decision had already been made. When my Client asked what I meant, I reminded him that the Detective had told him that if he didn’t receive a return phone call, he was “going to get a warrant.” That meant that the Detective already had enough evidence, at least in his opinion, to show “probable cause” in support of a Warrant Request. 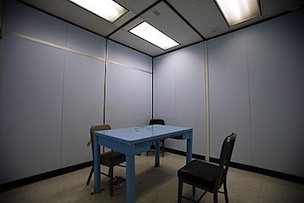 What the Detective really wanted, I explained, was enough information from my Client to amount to an admission (or confession) that my Client had actually assaulted the other Driver. I further pointed out to my Client that any “side” of the story he might give would likewise be an admission that, at the very least, he was there when the alleged Assault and Battery took place. To put that another way, he was at least admitting to being there, and without that, the only evidence to that effect was the other guy’s word. Let’s talk about that common Police “slip.” When a Detective tells someone they are talking to that if the person doesn’t cooperate in some way, they’ll go and “get a warrant,” what they are really letting “slip out” is that think that they already have enough evidence to charge the person with a crime. Unless the person can respond with proof that they were out of town, and that the Police are talking to the wrong person, then saying anything is almost never going to help their situation. In our example, there was no way the Detective was going to hear my Client’s side of the story and decide that he wasn’t going to charge him with Assault and Battery. Even if my Client could show that he might have been justified in what he allegedly did, the Detective would have simply told him that he should use that information as part of his defense. At the Point where the Police use the warrant threat, it usually means they believe that they have already heard enough from the Complaining Witness (or other witnesses) to go ahead and put together a Warrant Request supported by Probable Cause. Nothing I have seen in nearly 20 years would make me think otherwise. When the Police say they will get a warrant, then one is usually coming, anyway. The point here is this: I have never seen someone give “their side” of the story and talk themselves out of being charged with a crime. Not once, not ever, never. I have, at least a few times, however, seen Detectives get frustrated because they may not have had quite enough evidence to bring a charge, and figured a few minutes talking with a person might give them enough to proceed, and then find themselves dead-ended by the person’s refusal to say anything. So the moral of the story is to not only understand, but to exercise your Right to Remain Silent. Solving a crime is the job of the Police, not the person being investigated. For those readers who are even causal Television viewers, think of this: have you ever heard of or seen a high-profile case where some big-time Lawyer ever advised their Client to waive their Right to Remain Silent and talk to the Police? In fact, in every such case that’s ever been discussed on TV, the unanimous opinion of all those big-time, ultra high-priced Lawyers is to advise the Client to keep their mouths shut. Period. Even in those cases where the Detective does not make that tell-tale “slip” about getting a warrant, there is almost never a good reason to relate “your side of the story” once a person becomes the subject of an investigation. When I talk about being the subject of the investigation, that simply means that a person could be considered a participant, to some extent, in what happened. If someone just watched whatever is alleged to have happened from across the street, or otherwise was only a witness to the events, then these warnings don’t apply. Short of being able to show that they were in another state when whatever was alleged to have happened actually occurred, nothing a person can say will do anything but, at a minimum, confirm their presence at the scene, and create more problems from there. In those situations where a Detective has demanded a return phone call, I explain to the caller that simply ignoring the matter is also a poor decision. Instead, a person should hire a Lawyer, who will politely explain to the Detective that the Client has been advised to exercise their Right to Remain Silent, and further indicate that if and when a warrant is authorized (signed by the Judge or Magistrate) they will present the Client for booking and arraignment at a mutually convenient time. If the Client doesn’t hire a Lawyer first, then I advise them to call the Detective back and tell him or her that they do not want to answer any questions, but will cooperate as far as turning themselves in. If this is not done, and the Detective is ignored, chances are they won’t keep calling. Instead, the Detective will simply get the warrant, and the person will either be picked up by uniformed Officers sent to get them, or, if not, then picked up at some later date, such as when they are stopped for a Traffic Violation and the warrant shows up when their name in run through the Police LEIN. Ignoring the matter will not make it go away, it will just make things worse. Anyway, the larger point here is simply to exercise that Right to Remain Silent. It’s important to understand that the Police don’t have to advise a person of that Right until they essentially have been arrested. Technically, the point where the Police must advise a person of their Rights, including the Right to Remain Silent, isn’t as precisely fixed as the term “arrest” might indicate. For our purposes, though, questions prior to “arrest” do not require that the Police read a person their Rights, even though those rights still exist. Certainly, a person cannot be “arrested” by telephone. There is no law requiring a person to give any self-incriminating evidence or statements to the Police (or anyone else, for that matter), at any time, not just after “arrest.” Cooperation with the Police may be defined differently by Defense Lawyers and the Police doing the investigating, but most Police Officers and Detectives understand and will respect a person’s exercise of their Right to Remain Silent, especially when the person is otherwise willing to come in to the Police Station to be “booked”, or do whatever else the Police ask, with the exception of answering any questions or talking about the incident. Obviously, as an Attorney, I believe that a person is best served by hiring a Lawyer to take care of those details, and if that can be done, it always should be done. In those cases where, for whatever reason, a person must proceed without a Lawyer, then exercising that Right to Remain Silent is the rule of the day.